In an increasingly volatile and dynamic world, our business mission of helping customers live their lives with more peace of mind by protecting them, their relatives and their property against risks, and by managing their savings and assets is more relevant than ever. We have over 20 years Servicing the Peel Region. 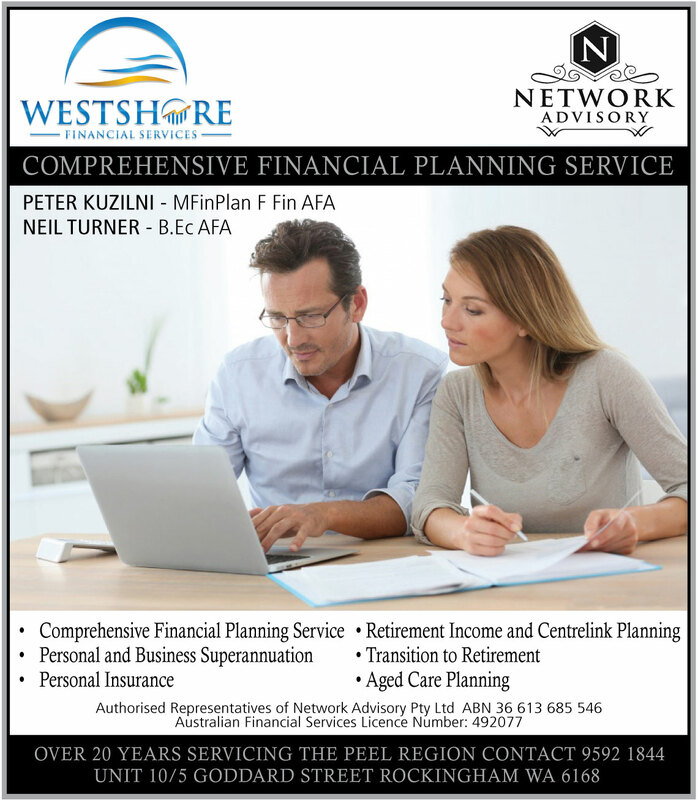 * Comprehensive Financial Planning Service * Personal and Business Superannuation Rockingham * Personal Insurance Rockingham * Retirement Income Rockingham * Centrelink Planning Rockingham * Access to Competitive Home Loans Rockingham.